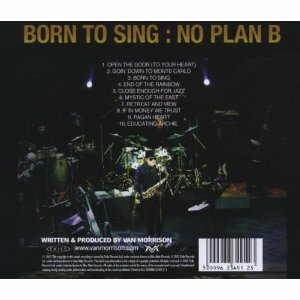 Select Van Morrison - Born To Sing: No Plan B DC-New, Drilled case. BNFS-Brand new factory sealed. 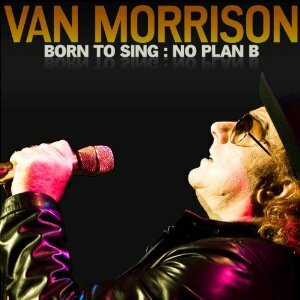 The subtitle of Van Morrison s new album, Born To Sing: No Plan B, indicates the power that music still holds for this living legend. No Plan B means this is not a rehearsal, says Morrison. That s the main thing it s not a hobby, it s real, happening now, in real time. This sense of absolute conviction, which has defined Morrison s revolutionary work for almost fifty years, runs throughout the new record, his thirtyfifth studio album as a solo artist. The ten original songs on Born To Sing, his first new album in four years (the longest he has ever gone between recordings), reveal an artist continuing to test his creative parameters. As Morrison notes, perhaps the most striking thing on the new album is hearing him weigh in on the global financial and economic meltdown on several songs. His sense of outrage at the materialism and greed that have poisoned society first appears in the opening track, the breezy soul strut Open the Door (To Your Heart), when he sings Money doesn t make you fulfilled/Money s just to pay the bills. Born To Sing, recorded live in the studio with a core six-piece band (plus Morrison on piano, guitar, and alto saxophone), extends these musical roots into a signature blend that s impossible to imitate or to categorize. Despite the album s title, Morrison says that he didn t immediately know that he was born to sing. I didn t know it was going to be a job until I was maybe fifteen or sixteen and started working in bands, he says. I was just a kid trying to make my way in life. There was no revelation it doesn t work that way. Ever since then, though, Van Morrison has offered non-stop revelation to fans around the world. With Born To Sing, he responds to a time of crisis with solace and insight,vision and wonder, and incomparable soul that shows what happens when you really do create from the heart, with no Plan B. Condition: BRAND NEW FACTORY SEALED.